When earlier this year I wrote about taking up blogging again (after a break of two and a half years), I mentioned that there would be changes in the content and the format of On Africa. Since then, I have thought more about this new direction, and I think it will be a significant change. Things will take a while to get going, and in the meanwhile I will continue to update the blog more or less regularly. I bring all this up because I would like the new On Africa to have a clear “editorial” line behind it, a “vision” for what it wants to achieve. I do not want to simply write about what is happening, but to try to build certain coherence in what I write, or ask people to contribute (I am hoping this will be another novelty too!). In any case, this “mission statement” is still being developed but I have already certain guiding references. 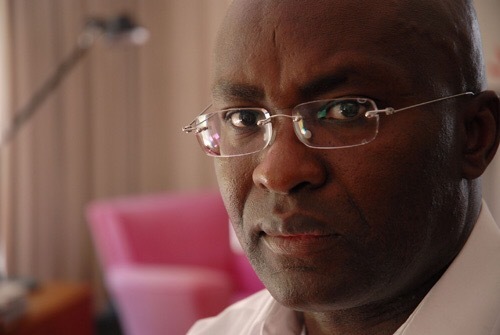 One of the most important ones, are the ideas of Achille Mbembe (whom I consider Africa’s most interesting and relevant intellectual at present). Mbembe has recently published his new book, “Critique de la raison nègre“, and given various interviews. A recent one has been included in Le Monde special on Africa that was published last week. Some excerpts of this have been posted online today. The interview is very much recommended if you can read French. “What strikes me is that Europe herself is also ‘provincialising’. She makes things easier for us. We don’t need to turn our back her, she turns her back on us herself. I have the impression that it is a profound movement, that feeds on the myth of the community without foreigners. A desire for apartheid at a global scale. Europe is about to turn her back to the kantian moment that will have founded her modernity and attractiveness.